For the E3 (German, British, and French) governments, the Iran nuclear deal is one of the signature achievements of European foreign policy. It marked a rare instance in which combined European efforts were able to move the US position and have a decisive impact on a key international security issue. 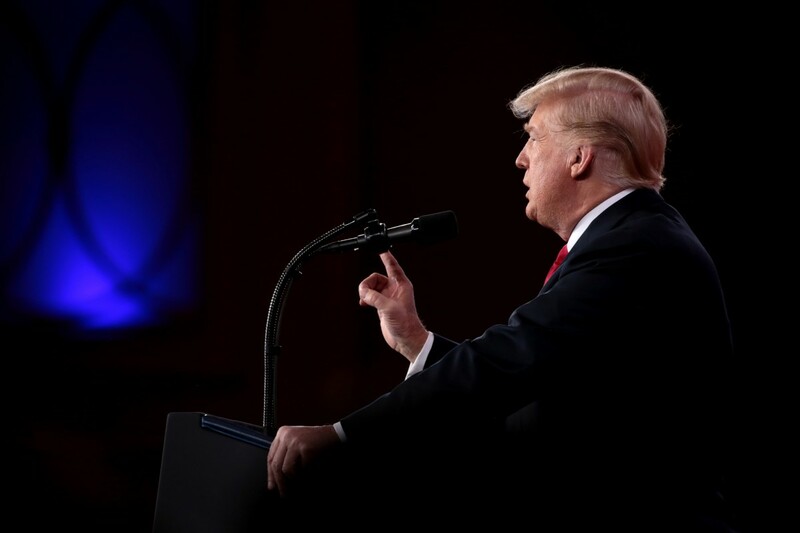 Donald Trump’s withdrawal from the deal is thus a disaster not simply because of the regional or non-proliferation implications, but also because it is a repudiation of the notion that Europe can ever move the United States on difficult security issues. The E3, in cooperation with other EU partners, clearly need a response. Paris is perhaps best placed to lead that response. This new low in transatlantic relations probably shocks France less than it does most of its European partners. There is even a sense that this is a moment for Europe to display the kind of ability to act independently that Paris has long advocated. There is not much appetite for direct confrontation with the US, but there is a palpable desire to seize this opportunity. That desire, however, does not make the response any easier to devise. The French government still insists not only that it wants Iran to stay in the 2015 deal, but also that it hopes to go beyond the deal in at least three aspects: the post-deal (post-2025) sunset period; Iran’s destabilising ballistic missile activities; and Iran’s role in the current regional conflicts (especially Syria, Yemen, and Iraq). It is less clear that Iran will accept such a package, given that its leaders are asking for additional guarantees just to stay in the 2015 deal. In the meantime, European governments will have difficulty shielding their companies and banks from US secondary sanctions and thus delivering on the economic benefits to Iran promised under the 2015 deal. In such a situation, French President Emmanuel Macron has returned to playing the European card – that is strict coordination with his key European partners. He started this effort well before Trump’s decision, such as when he coordinated with Angela Merkel before their respective visits to Washington. In spite of Macron’s bold pro-European agenda, he has in fact made little use of the EU on foreign policy so far. But Iran is one of a growing number of issues on which Macron no other option but to pursue European leadership. Germany is obviously the key partner in this effort. For the German government, Trump’s decision to withdraw from the deal only confirms the chancellor’s dictum of last year, that Germany can no longer fully rely on the US. In less than two years, Germany has fallen from preferred interlocutor and partner to near irrelevance. Angela Merkel’s ears are still ringing from Trump publicly telling her that “we will get you”. In consequence, Merkel and her government are firmly behind the French approach. Berlin will support Macron’s effort to launch talks that could lead to negotiations with Iran on other aspects of the relationship. Germany will have an important role to play in bringing Russia close to the European plan — and to anticipate Russian moves seeking to exploit the transatlantic rift for their own purposes. In the next few days, key ministers and the chancellor herself will travel to Moscow; this should also be seen as a signal to Washington that Europe is looking for other options. But the mood in Berlin is rather pessimistic about any of this having much impact. As in France, most do not see a practical way for Europe to protect its corporations and banks from US secondary sanctions. Even if EU found a way to retaliate, the US would continue to apply its sanctions policy to all commercial actors doing business in the US. German industry, notably machine building, aviation, and financial services, is already calling for government support or compensation. But is is clear to both business leaders and policymakers that public money will not compensate for the €170 billion of German trade with the US in order to retain €3 billion worth of trade with Iran. In the United Kingdom, analysts see Trump’s withdrawal as the first test of how far a post-Brexit UK will pivot away from its European partners towards its historic transatlantic ally. From this perspective, the most significant aspect of Britain’s response is how closely it has aligned itself with France and Germany. Prime Minister Theresa May signed the joint statement with Macron and Merkel regretting the US action and pledging continued commitment to the nuclear deal. In parliament, foreign secretary Boris Johnson said that the US decision made no difference to the British assessment that the constraints imposed on Iran by the agreement “remain vital for our national security and the stability of the Middle East”. The UK will host the joint meeting of British, French, and German foreign ministers with their Iranian counterpart next week. Britain’s commitment to the Iran deal may stem in part from the fact that the UK sponsored the deal as one of three European countries in its own right, not as part of the EU. But British diplomats argue that this is not the only policy area where the UK has taken a “European” rather than US line – it also opposed Trump’s decision to move the US embassy in Israel to Jerusalem, for example. British officials may have noticed that earlier attempts to cultivate Trump did not prevent the United States from trying to impose high tariffs on the aircraft manufacturer Bombardier, based partly in Northern Ireland. The real test will come, however, if the UK’s EU partners are able to agree on actions to push back on US secondary sanctions or otherwise keep the nuclear deal alive despite US pressure. Achieving an effective response will also require reaching out beyond the original E3 countries that negotiated the deal, particularly Italy and Poland. The idea of continued adherence to the deal can expect strong support from Rome. Despite the political confusion in Italy after its inconclusive election in March, there is clear support for the deal across the political spectrum. Italy has always maintained diplomatic dialogue with Tehran and there is a very strong cultural and economic connection between Italy and Iran. Italy is Iran’s biggest trading partner in Europe, larger than France or Germany. In recent years, Italy‘s trade with Iran has been subject to wide fluctuations, specifically because of sanctions. In 2011, it reached a record level of $7 billion but in 2013 it fell to $1.3 billion due to the 2012 sanctions. Following the adoption of the nuclear deal in 2015, bilateral commercial trade tripled and, before the US withdrawal, it was predicted to continue to climb. Italian frustration reflects a view that the sanctions system, including the sanctions against Russia, mostly affect Italy, which has suffered an economic loss estimated at between €5-7 billion. Rome is keen not continue this pattern. Poland is in nearly the opposite place as Italy, yet it is equally uncomfortable. The growing tension between the EU and the US requires a positioning from Poland which could not be more painful to achieve. As an EU member, Poland should support the unified EU position critical of Trump’s move. But the US is Poland’s key security ally. Poland’s current government particularly values its relationship with the United States in part because its relations with Germany and France are so bad. To position itself against the US is the last thing Warsaw wants to do. Not surprisingly, the reactions in Warsaw have been scarce and very cautious. Minister of foreign affairs Jacek Czaputowicz only said that Trump’s decision “did not follow EU’s suggestions” and that EU ministers agreed “to support the policy of E3 on that matter.” He added that the EU should work towards a “common position of the Western world” and that “we understand some reservations and concerns of the US president”. Poland is clearly quite vulnerable to US pressure to defect from the common EU line. In sum, the key European capitals are mostly united in their frustration and opposition to Trump’s decision. But they are confused in how to respond and somewhat vulnerable to US efforts to divide them. The Iran nuclear deal was European foreign policy’s finest hour. It now seems clear that it will also be its most critical test.